With the preliminaries almost over, many are wondering what the Miss America schedule for 2018 is going to look like. The Miss America date can be easily mistaken, especially since the preliminaries take place before the actual pageant airs. If you plan on tuning into the Miss America 2018 live stream, you’ll need to have the right date and channel! 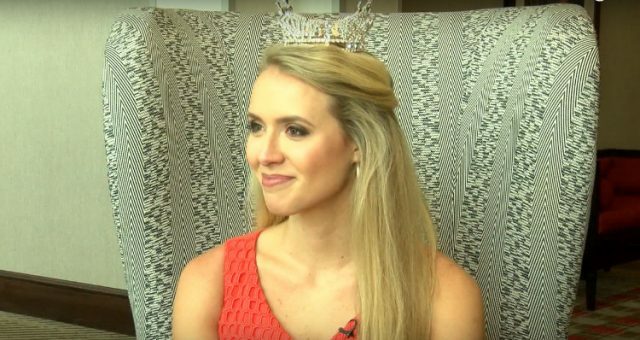 When is Miss America 2018? Keep reading for details on the Miss America time and channel for the 2018 pageant. The preliminary stages are to take place September 7, 8, and 9. Winners of the preliminary rounds so far include Miss Lousiana, Laryssa Bonacquisiti for the swimsuit portion, Miss Minnesota, Brianna Drevlow for her classical piano talent, who joined the preliminary winners form Wednesday night; Miss Texas, Margana Wood and Miss Utah, Jessi Kate Riley. To find out who’ll win the ultimate title of Miss America 2018, viewers will need to tune into the official pageant on ABC. Wondering when is the Miss America Pageant? It’ll air on the national network on Sunday, September 10 at 9:00 p.m. EST. This weekend, mothers whose sons were killed while serving in the American military will be honored as part of the pageant. Nine mothers will be honored as honorary Miss Americas on Sunday, as a small symbol of the country’s gratitude for their children’s sacrifice. The mothers will be put up at the Caesar’s casino in Atlantic City, and be pampered before the show. They’ll also be escorted by military officials, and enjoy the un-televised pre-show activities. To see the Miss America 2018 pageant, tune into ABC this Sunday at 9:00 p.m. EST.